There are 562 federally recognized Indian Nations (variously called tribes, nations, bands, pueblos, communities, rancherias and native villages) in the United States. Approximately 229 of these ethnically, culturally and linguistically diverse nations are located in Alaska; the rest are located in 33 other states. The United States Constitution recognizes that Indian Nations are sovereign governments just like Canada and California. 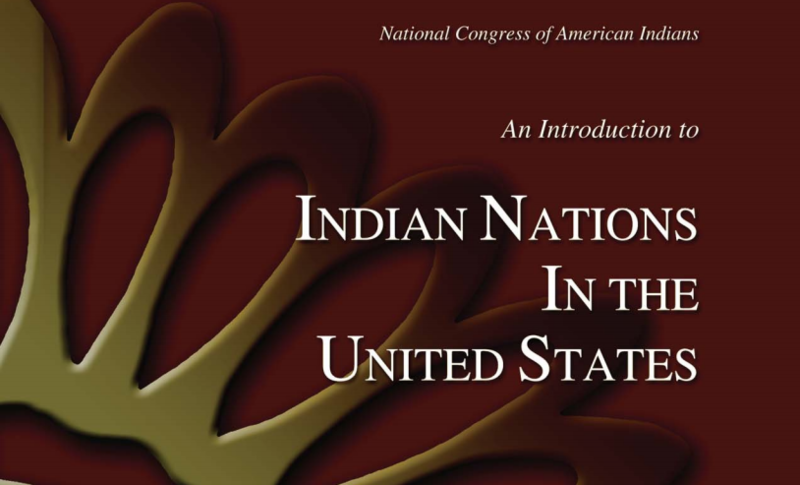 The Supreme Court, Congress, U.S. Presidents, and hundreds of treaties have repeatedly reaffirmed that Indian Nations retain their inherent powers of self-government. Treaties and laws have created a fundamental contract between Indian Nations and the United States: Indian Nations ceded millions of acres of land that made the United States what it is today, and in return received, among other guarantees, the right of continued self-government on their own lands.